“I am a Pisces,” the woman says as if that explains everything. “You’re kidding me. So am I.” I laugh. “When were you made?” the Pisces girl asks with a tilt of her head. “I was born February twenty first. I just missed being an Aquarius by two days,” I tell her. Not that I believe in all that mumbo jumbo, but it’s always bothered me that I was a Pisces. I mean Scorpios are supposed to be the worst I think, but whenever I see a description of Pisces it seems like the most wishy washy of signs. Worse, it fits me pretty good in some places. Although she doesn’t have a discernable accent, she says all the syllables of the word “laboratory.” La-bo-ra-to-ry. It’s kind of cute and creepy at the same time. Like a levitating puppy. “I told you. I am a Pisces.” She’s taken to rubbing her other wrist now. 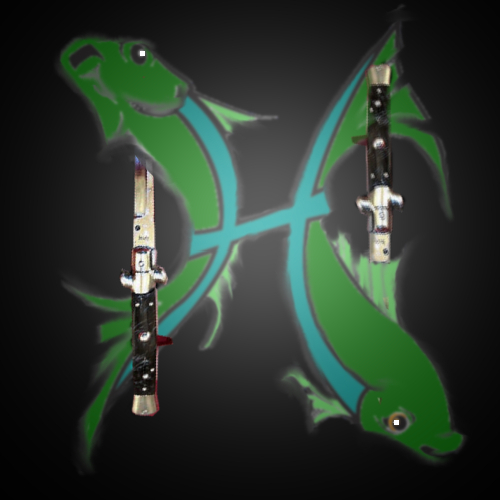 “Not unless you want me to,” the Pisces girl releases her blades and tilts her head. “Janis” She says, retracting her blades once again into her smooth, lightly tanned wrists.